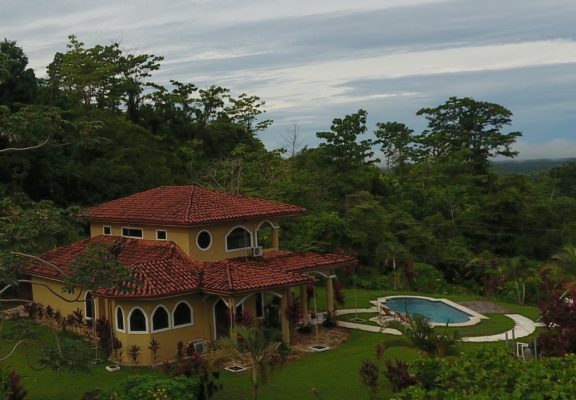 This beautiful Costa Rica Villa for Rent is our premier ocean view option, located in the Estates, with 3 bedrooms and 4 bathrooms. Stay here and you’ll have a wonderful time! 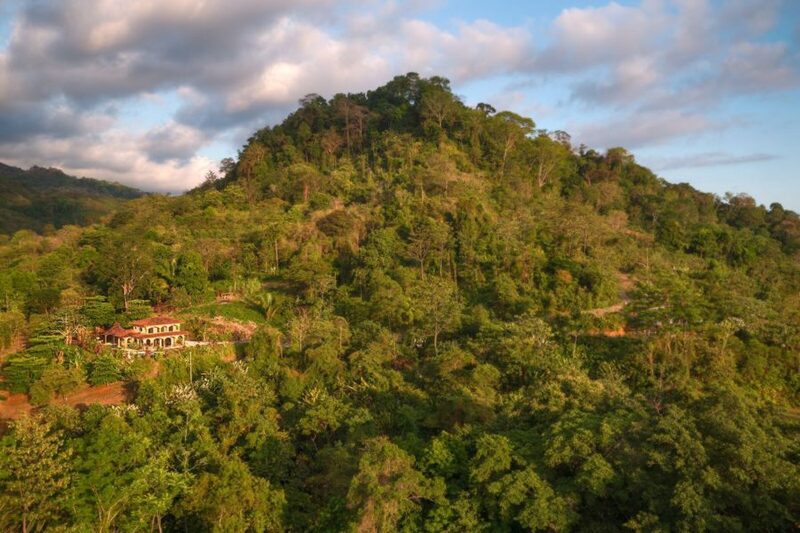 Awaken to the sounds of howler monkeys and toucans. Enjoy the ever changing landscape and shadows that dance on the mountains to the north. Savor the amazingly beautiful sunsets this house rental in Costa Rica has to offer. 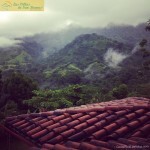 Casa Lapas is one of 5 Costa Rica villas for rent that we offer at Las Villas de San Buenas. 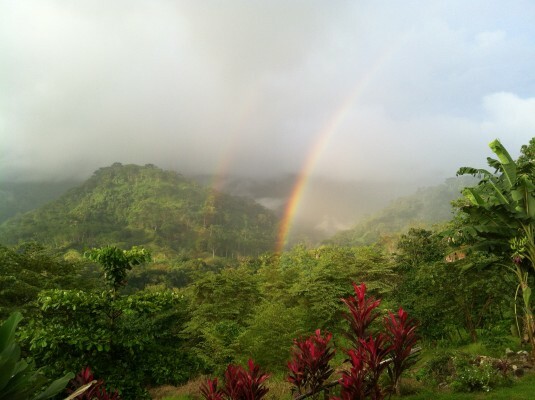 Double rainbow photographed behind Casa Lapas. pool and ocean. TV/DVD player, iPhone/iPod clock radio charging station. Two, 2nd floor suites. Queen beds, private bath, shower, toilet. Access to 2nd floor balcony with ocean views. TV/DVD player, iPhone/iPod clock radio charging station. Full kitchen. Stove, microwave, refrigerator with ice maker, toaster, coffee maker, blender, pots, pans, etc. We’ve planted over 150 plants, flowers and trees within walking distance of the house. If you see a piece of fruit you’d like to eat, simply take it. Depending on the season you will have your choice of papaya, yucca, bananas, pineapple, watermelon, mamones chinos, sugar cane, guanabana and corn to name a few. Private park just below the house. There is a 1/2 acre private resting area/park, with fruit trees planted on it, for the exclusive use of guests at our home. The private rancho is a great way to start the day of with a cup of coffee and listen to the morning sounds of the jungle, typically howler monkeys, toucans and lorros (parakeets) or end the day with an Imperial cerveza (Costa Rica’s best beer) and watch the sun set into the Pacific Ocean. Amazing wildlife can usually be seen and heard. Check out this video of toucans enjoying the afternoon near the Casa Lapas rental house. This is the way to enjoying Costa Rica. Ocean view rentals in Costa Rica. Master bedroom with ocean and mountain views.